Yet quite obviously, his influence is still everywhere when it comes to animation and American culture, and the newest installment of PBS’ American Experience docu-series, premiering Monday night and concluding Tuesday, reiterates this fact. Spanning Disney’s lifetime, writer Matt Zwonitzer and director-producer Sarah Colt examine how personal factors, like his estranged relationship with his father, drove his creative output and informed his populist outlook on life. Walt, the Oliver Platt-narrated documentary demonstrates, not only pushed the boundaries of animation and storytelling through the likes of Snow White and the Seven Dwarfs and Fantasia, but also helped crystallize and popularize a very specific image of the American dream—in essence, he was a man who had no interest in dealing seriously with the world around him, and thus created, and retreated into, his very own fantastical world. The psyche and influence of Disney have been examined before, of course: Countless biographies—some better than others—have sprung up in the years since his death, and many contemporary critics have wrestled with, or flat-out slammed, the producer’s nostalgic, escapist tropes. But seeing such analysis alongside the visuals gives American Experience a crucial edge over merely reading about it. When Zwonitzer and Colt dive in to the animators’ strike that took the Disney studio by storm in 1941—this pivotal moment makes up the heart of the film—we don’t just hear about the complaints; we see footage of the hundreds of workers who camped outside every day for several weeks, protesting unfair wages and treatment. They are powerful images, and help to further illustrate how the protests angered Disney and spun him into a “they’re all out to get me” mentality, pushing him starkly into anti-union and anti-communism crusading in his later years. American Experience features an impressive mixture of scholarly and I-was-there-when-it-happened talking heads, including biographers Richard Schickel and Neal Gabler, and composer Richard M. Sherman, who is known, along with his late brother Robert, for creating the music for Mary Poppins and The Jungle Book, among many other Disney classics. But while I was aware that Sherman is still alive, I had no idea there were others from even earlier in Disney’s career who are as well—like Ruthie Thompson and Robert Givens, an “ink and paint girl” and animation checker on 1937’s Snow White and the Seven Dwarfs, respectively. Thompson is candid about how women weren’t valued as highly as the men at the studio, while Givens recalls the grueling work conditions under which everyone worked, with little pay and long hours. Some of the women working in the ink and paint department began to lose their eye sight, he says. 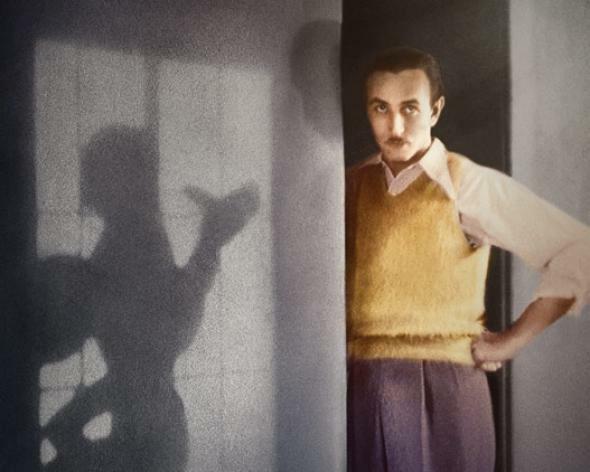 The documentary is four hours long, and doesn’t even begin to cover all of Disney’s career—his South American tour during the strike, profiled in the 2009 doc Walt & El Grupo is but a footnote here, while many of his later animated hits like Peter Pan and Sleeping Beauty are ignored due to his intense focus on creating and opening Disneyland during those years. And at such a length, this may not seem to be worth the commitment for anyone who’s not a Disney or animation buff. But American Experience is nothing if not expansive, exploring how a man who was constantly chasing happiness projected that happiness onto the rest of America. At the same time, he’s recalled as being condescending and untrusting of others, always operating on “instinct,” for better or worse. “He’s either the man who ruined American culture and brought all of this fakeness into our lives, or he’s the man who inspired us and gave us hours and hours of entertainment,” says Gabler. Ultimately, he’s a little bit of both: a ruthless innovator with a complicated history, the consummate American icon.